The TaylorMade Tour Preferred EF wedges feature electroformed Nickel Cobalt grooves to provide long lasting spin and are resistant to wear. They are finished in a glare reducing satin chrome finish and the body is made of soft 1025 carbon steel. 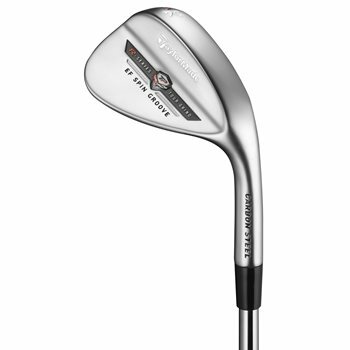 The Tour Preferred EF wedges come with the KBS Tour Wedge shaft. Review by BadBack, 6 months ago. Review by steve, 7 months ago.